All-in-one printers or inkjet printers that offer print, scan and fax features are a popular printer choice for business and everyday use. The HP® Envy® 4500 series is one of the most well regarded 3-in-1 inkjet printer options on the market today, appreciated for its low initial price point and consistently high print quality. 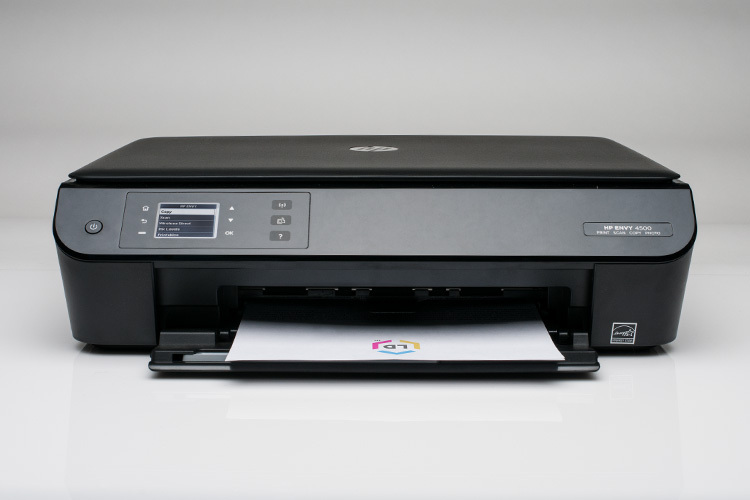 Currently, there are two main Envy 4500 series printers of note, the HP Envy 4500 e- All-in-One, released in 2013, and the HP Envy 4520 All-in-One, released in 2015. In this article, we will review the similarities of both machines, and some handy troubleshooting tips you can use for each model too. 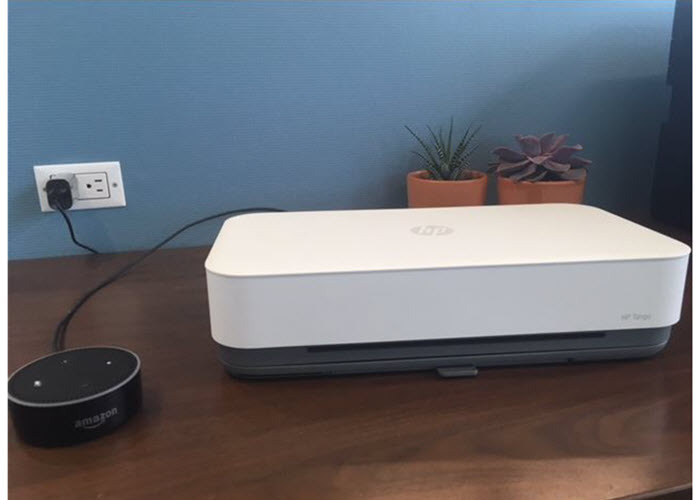 After researching and comparing the specs of both models, we discovered a lot of overlap when you breakdown their features. From our perspective, it seems like the newer model HP Envy 4520 is basically an upgraded version of the Envy 4500. The main differences we could see are the cartridges (HP 61 vs. HP 63), the print speed, and the fact that the 4520 is instant ink ready. The newer of the two, the 4520, holds the number 1 spot on Amazon right now based on reviews and sales. The HP Envy 4500 printer cartridges are different from the HP Envy 4520’s cartridges in that the 4500 runs on HP 61 cartridges and the 4520 runs on HP 63. If you place the two cartridge series next to each other, you’ll probably have trouble telling the difference between the two. In terms of design, fit, and function, they are practically identical. Both printer series offer a standard yield and high yield version of their respective cartridges and the print quality is similar across machines too. The main differences are the part number, the page yield and the chip compatibility. Chip compatibility is an important distinction here. Important: Do not assume that if two cartridges look the same, they are interchangeable. Unfortunately, since the HP 61 and HP 63 cartridges operate with different chips, they are limited to working with a very specific list of printers. If you insert an HP 63 cartridge into an HP Envy 4520 printer, your printer will not be able to read the cartridge, and the same goes with an HP 61 in an HP Envy 4520. This why it is important to make sure you have selected the correct cartridge for your machine before you buy! Cartridge price is worth keeping in mind. If you print a lot, we suggest spending a little bit more for a high yield, or XL cartridge. High yield cartridges offer almost double the amount of ink for just a few more dollars. If you print occasionally, you will be fine sticking with slightly cheaper standard yield cartridges. Aftermarket cartridges, like remanufactured cartridges, are an even better way to cut down on costs. 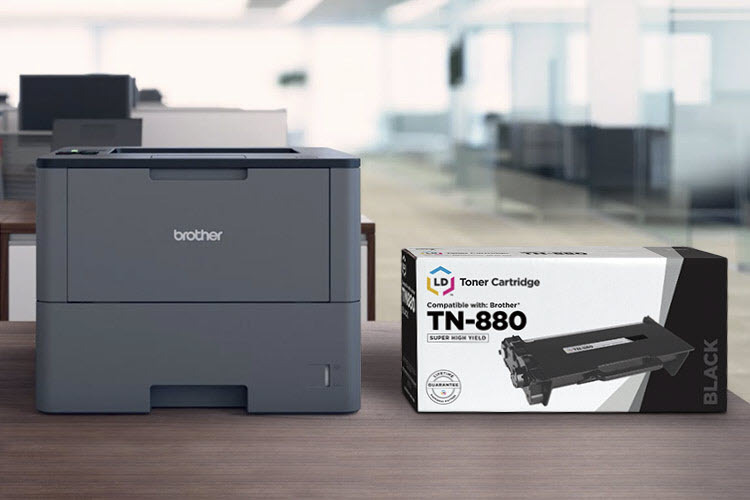 Thanks to improved technologies and more stringent testing processes in the aftermarket ink industry, an aftermarket cartridge can now give you comparable print results to an original HP cartridge Not only are remanufactured cartridges better for the environment, they are a far more affordable option too. Case in point, HP is currently selling their 63XL high yield black cartridge for $33.99. If you buy a non-brand alternative to the HP 63 from a reputable supplier, you can get comparable results for $17.99, almost half the cost! A big plus about these printers is the fact that many of the same troubleshooting techniques work for both machines. We will review a few common troubleshooting steps here that should keep your machine running for a long time, no matter which generation Envy machine or whatever HP ink cartridge you are using. 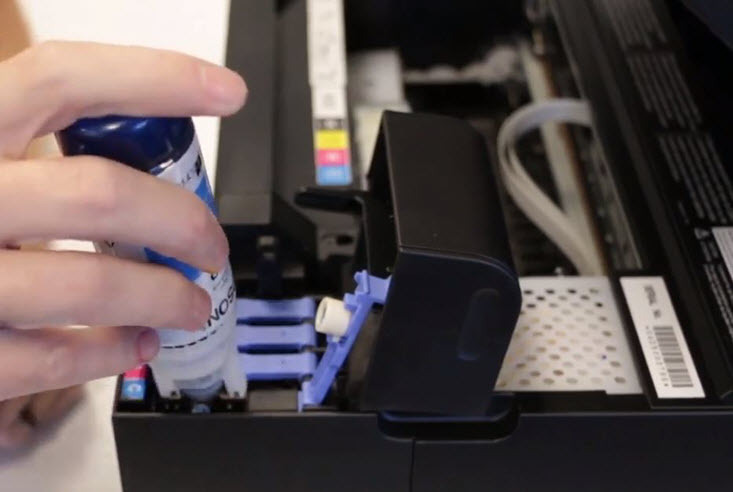 If you recently installed a new cartridge and your printer’s display reads “Compatibility Error” or “Ink Cartridge Error” there are some simple troubleshooting steps you can take to get your cartridge working. Sometimes dried ink, fingerprint oil or tape reside can get on the gold and copper contacts of the cartridge during the manufacturing process, preventing it from being read in the machine. To remove any dirt or residue, gently clean the contacts with a lint free cloth or coffee filter. Before reinstalling the cartridge, power down the printer, unplug it from the wall and let it sit for a couple of minutes. Then, power it back up and reinstall the cartridge. Cleaning the cartridge contacts and a simple printer reset will usually get you printing again. A “missing cartridge” error usually means the cartridge was not installed properly. To fix this, first confirm that you have the correct cartridge for your machine. As we mentioned previously, the HP 61 and HP 63 cartridges only work with a specific list of printers. You will also want make sure you are installing the correct cartridge in its corresponding color slot. A black cartridge will not work if it is in the tri-color cartridge slot, and vice versa. The cartridge should click in smoothly into the printer. If it’s at an angle, the gold contact will not read properly, prompting the missing cartridge message. If everything clicks in as expected and you are still getting an error, remove the cartridge and clean the gold contacts, it might just need a quick cleaning! Watch the video above for our instructions on the cleaning process. If you are using a remanufactured ink cartridge, you will probably come across an “empty cartridge” message the first time you install a new cartridge. Remanufacturers cannot reset the gold contact chip when they refurbish and refill the cartridge, so your printer will read the cartridge as if it was still the original cartridge that has already been depleted. This of course is not the case since the cartridge was refurbished, but it will be up to you to convince your printer! To circumvent the empty cartridge message, clean the contacts, reset the printer and reinsert the cartridge. When the empty cartridge message pops up, acknowledge it by pressing “OK” on the printer’s display. This should prompt the cartridge to be accepted in your machine and you can begin printing! 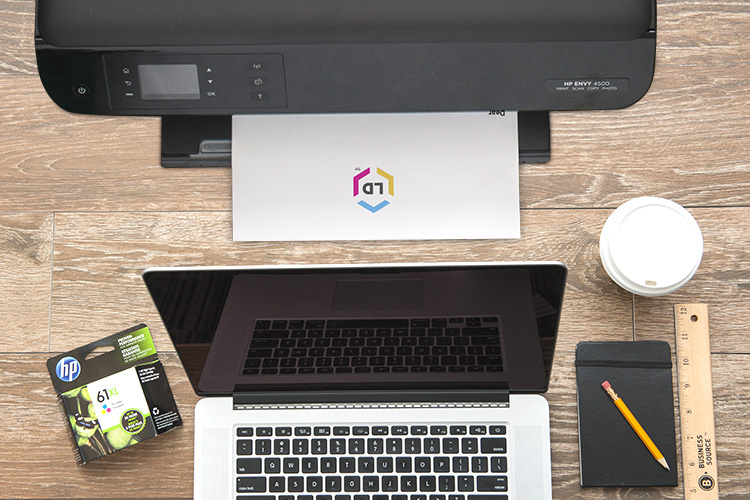 Keep in mind that you will not be able to track the exact number of pages you print with a remanufactured cartridge, but you should get the same number of prints that you would expect from an original cartridge since it is filled to the exact same ink capacity. A common problem with the HP Envy 4500 printer is that the black ink sometimes won’t print. Before you toss out your black cartridge, we suggest you try the following solutions below, usually Solution 2 does the trick. Spotty prints can also be a nuisance, especially if there is a deadline on the horizon. Luckily, there are a couple of simple ways to tackle them! Solution One: Poor print quality can usually be traced back to dried ink gumming up a cartridge printhead. We recommend using the “paper towel method” to deal with it. First, you will want to familiarize yourself with the location of the printhead on HP 61 or HP 63 cartridge. On the end of the cartridge you should notice a gold strip where the ink releases from the cartridge. You’ll want to grab a warm, damp paper towel and a dry paper towel to start. Fold the damp paper towel into fourths and gently dab the cartridge a few times, with printhead facing down on the paper towel. You should see ink appear on the paper towel when you do this. After blotting a couple of times, hold the cartridge down on the paper towel for about a minute to wick out the ink. Then, insert the cartridge back into the machine and try printing again. This should resolve the issue, but if you still have trouble, continue reading to learn about our second solution, printhead cleaning! Solution Two: Solution number two involves the cleaning function on your printer, a common feature with HP inkjet machines. You can find the Envy cleaning function under the “Tools” menu of each respective machine. Once you are in the “Tools” menu, scroll to select “Clean Printhead” and your printer’s display will prompt you with further instructions. The entire cleaning process should only take a couple of minutes. 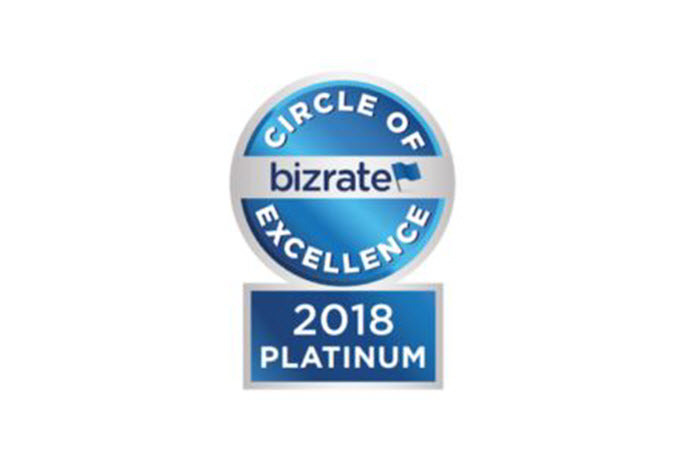 Once it is complete, you will want to run a test print to see if your quality has improved. If there is no improvement, try running the cleaning a second time. If you run the cleaning a couple of times and you still get poor results, it might be time to pick up a new cartridge. This is another common problem not just with the HP Envy 4500 but with other inkjet printers as well. First, check your default printer settings and make sure they are not set to print only in black and white, or gray scale. If that is not the issue, you might try uninstalling and reinstalling the HP Envy 4500 driver. The driver is the software that runs your printer. You can find the driver for the Envy 4500 on HP’s website here: https://support.hp.com/us-en/drivers/selfservice/hp-envy-4500-e-all-in-one-printer-series/5304875/model/5304876. Maintaining your Envy machine is easy to do with scheduled upkeep. If you run a cleaning on occasion and prime your cartridges regularly, you can expect crisp and consistent results. Now that you are an expert on your HP Envy 4500 series machine, share your knowledge with your co-workers…you might just be the envy of the office. We’d need more details to know what the problem is for sure but have you tried looking at the Paper Size and Scale on the Print Menu? If you want to send us more details, send us an email at [email protected]. My 4500 Envy is squeaking when I print? What do I do? My Envy 4500 was low on ink. Changed black cartridge. Printed alignment page. Printed two pages, fine. Third page printed all BLACK. Selected “tools” to clean print head. Prints all BLACK page again. Do you know what I need to do next? Thank you. First, check to make sure your printer settings are not defaulted to print only in black and white, or gray scale. If that is not the issue, you might try uninstalling and reinstalling the printer driver, this is the software that runs your printer. You can find the driver for the Envy 4500 on HP’s website here: https://support.hp.com/us-en/drivers/selfservice/hp-envy-4500-e-all-in-one-printer-series/5304875/model/5304876. I just got a new envy 4520 and the rest pages are printing with dual lines and too much header space and cutting off the bottom edge. I have aligned ut and cleaned the printer heads several times. I uninstalled and resinstalled the software and drivers, rebooted both printer and computer. Even printed the music form from the printer and it printer the same way. A few double lines about 1/3 and 2/3 of the way down an extra large margin at the top and cut off the bottom. I have tried a variety of paper. Please help! I cannot find an fix for this. Thanks! I have the same problem and so far have been unsuccessful in getting it to print all lines correctly. Any help with this problem? I keep getting a ‘Out of Papper’ error message. There loads of paper in the machine. I’ve pulled out the tray! Refilled the cartridges at Costco at a cost of $26.86 (incl taxes) and still won’t print. Usually a compatibility error message like that means that the ink cartridge is not being recognized by the printer. Try cleaning the gold/copper dots on the side of the cartridge with a lint free cloth or Q-tip and then reinsert the cartridge. You can also try resetting the printer by powering it down, unplugging it from the wall and plugging it back in again. If that doesn’t work, it may be that the ink cartridge is faulty. Test another cartridge from your order and see if there is a difference. Hope this helps! Just wanted you to know that your blog helped me immensely with making my new black ink cartridge print. The machine (HP Envy 4500) auto cleaning did not work, but the paper towels (Item 1) worked perfectly. Thank you so much for your help! It was such a simple solution. i’ll second that! Item 1 fixed my black printing problem also. Thank you so much!!! I am having a problem getting my Hp Envy 4500 to stay on. When first plugged in it will show signs of life then after the power button blinks for about 15 seconds it all shuts down and then nothing, unless unplugged then plugged in again on for it to repeat the same actions. What is going on? Have you tried plugging it into a different outlet to eliminate the possibility of a faulty outlet? Or a different power cable? My printer is not printing complete emails or downloads. The first line prints lightly and then fades, the remainder of the page is blank. It will print the GO test page completely fine. I have run the clean printhead, and installed new ink cartridges and still get the same result. I have the HP Envy 4500 and I cannot get any black ink to print in any documents. It doesn’t seem like the printer is even registering the black cartridge because when I print a Print Quality Report i only get the colored lines, nothing in black. Its a new cartridge, I’ve tried the paper towel trick, and cleaning the printer head 3 times. I’m also not getting any error messages, so I dont know what I should do. Hi Michelle, if you’ve tried the paper towel trick and a printhead cleaning, it could be a faulty cartridge. Faulty cartridges are pretty rare but they do happen from time to time. Test another cartridge and see if there is a difference. Hope this helps! my hp envy 4500 cuts off all photos on the right side from anything that I copy and paste into Word and try to print. If you want to print in black ink only, open up the HP Envy 4500 printer software on your computer and click the “Advanced” button. Under the “Print in Grayscale” drop-down menu, select “Black Ink Only”, then click the “OK” button. Hope this helps! My HP Envy 4500 makes a loud “rusty wheel” squeaky noise when it warms up before every print. Any ideas as how to fix this? It has done it from pretty much day one. Hi, The black ink, all of the sudden, started to print very pale, as if it were running low on ink. However, ink levels were totally fine. Even so, to make sure, I replaced with a new cartridge, to see if that would fix the problem. It didn’t. I did the cleaning function on the printer, didn’t work. The alignment page prints, including the black ink (although not very dark). Then, when I tried to print a document, it doesn’t print anything at all. I tried printing the alignment page again, and it printed just fine, like the time before. I’ve restarted the printer, restarted my computer, done the cleaning function, replaced the cartridge. Is there something I’m missing or not trying? It’s strange that it’ll print when doing the alignment test, but not when printing from my computer (computer and printer are communicating to an extent, the paper is feeding through the tray and it sounds like printing is happening, but then it comes out totally blank). Same problem here. Any luck fixing it? MY 4500 WILL PRINT FROM THE COMPUTOR, BUT WILL NOT MAKE COPIES. My Envy 4500 will (wireless) print documents from my iMac but won’t SCAN to the iMac or COPY. When I try to open the scanner (or select ‘Overview’) from iMac, I get a message “Scanner Reported An Error – The Scanner Is Busy”. It used to SCAN / COPY just fine. my envy4500 dont accepts thirthparty cartridge, how can i olve this problem? I have a HP 450 Envy Series Printer. I have it connected by wireless to my computer. It was printing fine and I know it said my black ink was getting low. I am not out of ink yet-status shows very little left. Now when I click print, it says printing, nothing is printing, the printer goes back to main screen. It is has if I never clicked print. Can someone please help me? Long print run/replaced ink midpoint/ how to continue print at stop-point? my 4500 wont print black even with new cartridge? What do I do from here? Out of the blue our HP4500 is not printing. Can you suggest something to help us. Oh, it does say low on ink, but it’s not out of ink. HP Envy 4500. Prints from computer, but will not make copies. Any suggestions on troubleshooting. How do I switch from copy mode to print mode? Read the manual. Usually it’s a button on the front panel and or using company supplied software (drivers & additional software). Hi Judy! Your HP printer uses RAM and hard disk memory on your computer to print so try clearing up your recycle bin or uninstalling a few programs you don’t use often. Hope this helps! A quick printer reset will often resolve recognition errors. To do this, power down the printer and unplug it from the wall for about a minute, then plug it back in, power it back up and try printing on the envelope again. Hope this helps! Copies are black/white,even when I select color. Color cartridge is installed and the indication is the there is still some ink. You might have the “gray scale” or “black ink only” option enabled on your printer settings. To fix this, just uncheck the “gray scale” box on the printer settings menu. Hope this helps! Sometimes when I print it will not print the first part on top of the paper. But sometimes it does, it’s completely random whether it will print the whole thing. Software is installed on computer but get a message That No computer is found. Also to make sure that the Scan to computer is enabled – how do i do this?